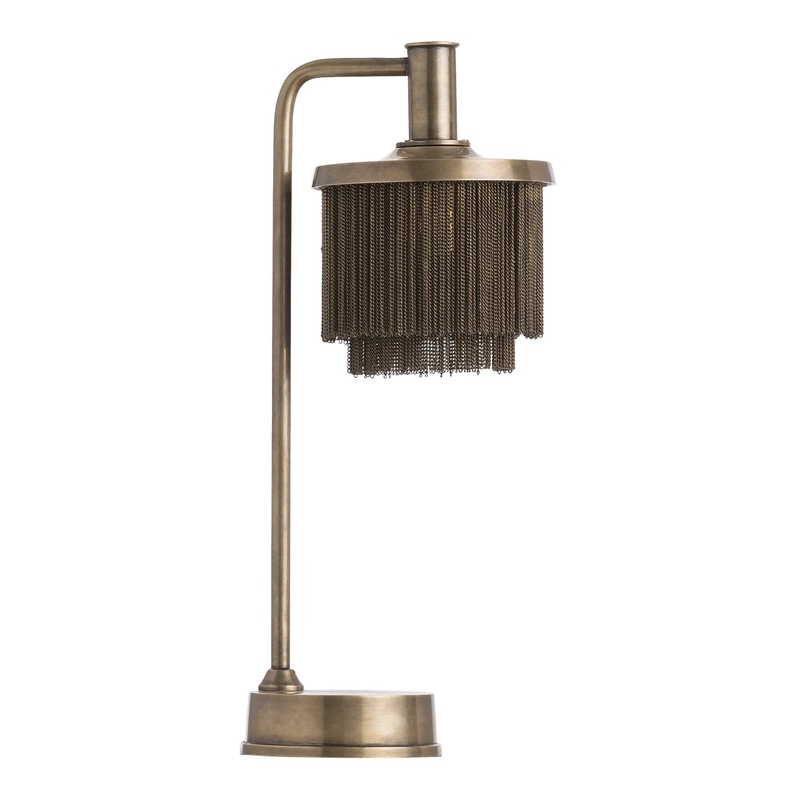 Swags of antique brass chains give this task/desk lamp a touch of elegance often reserved for large-scale pieces. 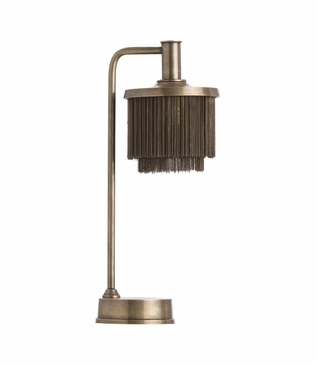 Its matching vintage brass body brings a traditional style and grace to any surface. 1-40W maximum, Type B bulb (not included), on-off inline switch. UL listed.